I wouldn't make much of a supervillain. My weakness is chocolate. And quality whiskey. 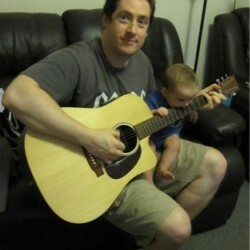 And a beautiful guitar. And a great novel. And.... this would make a long list of things to kill me with. 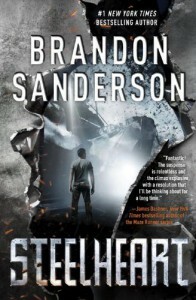 Steelheart is the first book in the Reckoners series by Brandon Sanderson. David was only a child when the Epics (supervillains) appeared. He also has a secret: he saw the greatest of the Epics bleed. The supposedly invincible and invulnerable Steelheart is now the Dictator of Newcago and David wants to avenge his father's death at the hands of Steelheart. Leaving aside the (acknowledged) improbable superpowers and raised middle finger to physics, the novel manages to be engaging and intriguing. In this David versus Goliaths tale there is plenty of suspense and fear that the heroes may not triumph. The series is intended as a Young Adult adventure, but YA is the new A must read, so don't be put off by that. Can't wait to read the rest of the series and see how the handwavium works.